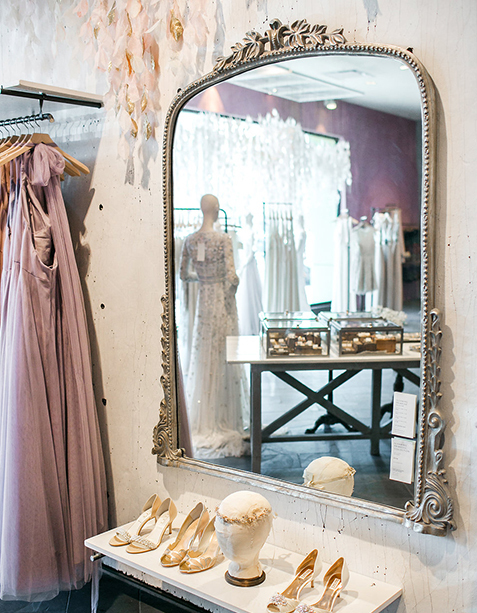 We couldn’t have picked a more beautiful locale for our bridal shop. With palm trees and sandy beaches as a backdrop, we share 13,000 square feet with Anthropologie in Carlsbad’s premier shopping district, The Forum. 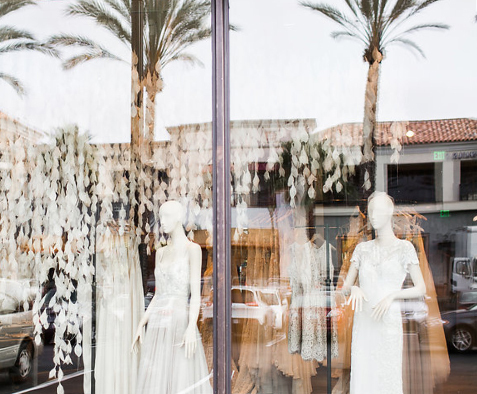 Stop by to browse our assortment of wedding gowns, bridesmaid dresses, jewelry, and accessories at any time, or make a bridal appointment to try on wedding dresses. After your visit, venture to one of the area’s beautiful outdoor gardens, explore the Pacific coast, or try the local ocean-inspired cuisine.